For over 2 years AJ Design Studio helped Formway Design with the development of a high performance recliner for Natuzzi; the Revive recliner. Initially I was engaged to help realise the designers’ form concepts in 3D while the mechanical design was happening in parallel. 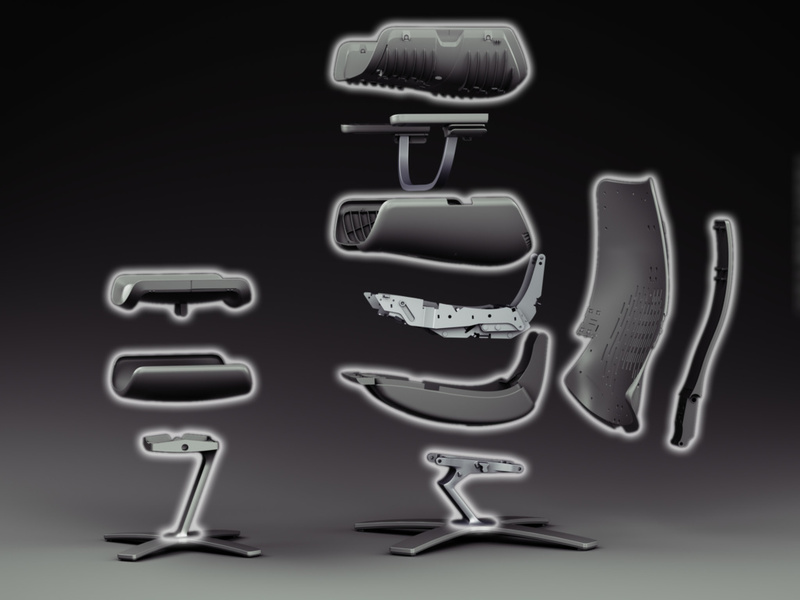 As the design developed full size parts were needed for prototyping. The large mouldings were made from sintered nylon, as the prototypes needed to perform as they would as a final product. 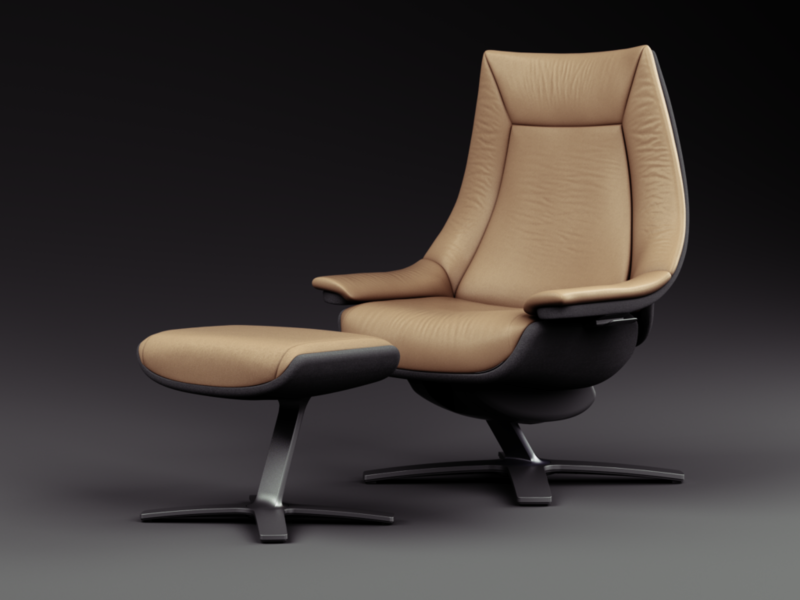 The flexing and compliance to the user are major factors in the performance of the chair. After the design was frozen, detailed design of the parts for manufacture took place. As the main form is used over several parts, the decision was made to use a master model strategy, with one CAD model being used to drive the main surfaces of other models. This allowed alterations to the master shape to trickle down to other parts. I assisted the rest of the team not only by modelling, but also helping to solve some of the complex issues involved in this design. Once the master model had been completed, parts were then modelled including details for structure, mounting and draft amongst others. Once Formway Design had tested the parts using finite element analysis, they were checked for draft, to make sure the parts would demould. I was responsible for the final CAD models of several of the large plastic parts, which were sent out for tooling. These parts are highlighted in the following image.